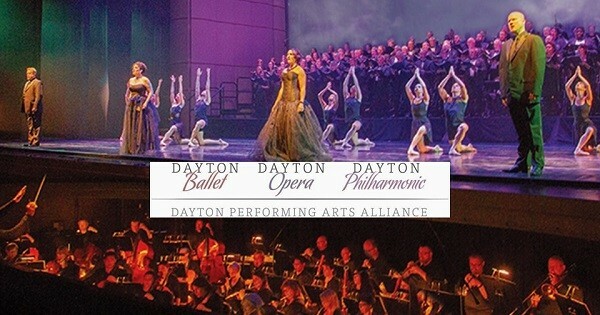 The Dayton Philharmonic, Ballet, and Opera Come Together to Present a Fresh Vision of Beethoven's Sublime Art - at the SCHUSTER CENTER 8:00 pm Saturday, September 15, 2018 & 3:00 pm Sunday, September 16, 2018. This is Beethoven's Ninth as you’ve never seen or heard it. Innovative stagecraft, dance, chorus, and soloists who convey deep emotion as opera performers all come together for an explosion of impressions, sounds, motion, and sight, impelling Beethoven’s vision to a new sphere. Join us for this dramatic arts season kickoff. Find more events like "Beethoven's Ninth: Season Opening Spectacular"